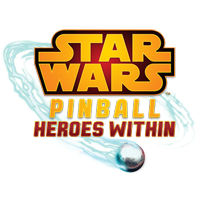 So far I have totally enjoyed all of the Star Wars tables for Zen Pinball. I'm especially looking forward to this new batch to see what kind of variations they've cooked up for us this time around. I'm currently playing some of this and will post a review on Tuesday. Meanwhile, enjoy the trailer to see what lies in store for the galaxy. Which looks good to you? Let us know below! Also, have any questions I can include in my review? Let me know!